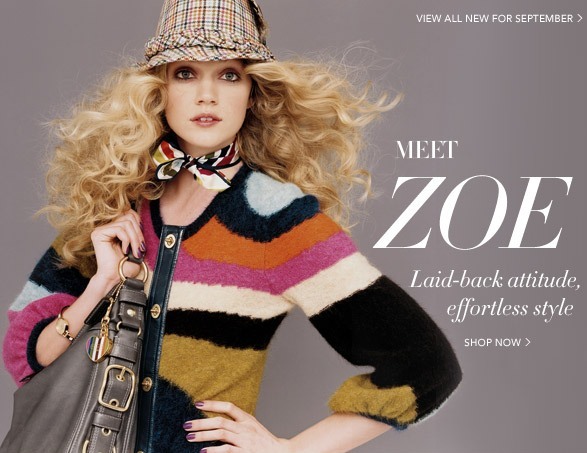 Wow, ZOE she has a wonderful collection for September 2008. You will find the leather zoe, suede zoe, signature denim zoe, patchwork zoe, patent leather zoe, extra large suede, haircalf extra large, braided leather and much more. You will even find amazing new accessories such as the Zoe patent accordion zip around wallet. 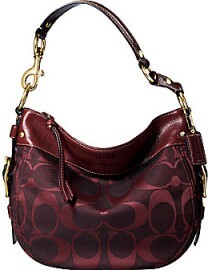 Here is one example of what you will find this month at Coach. We hope you enjoy these handbags as much as we do... Now go visit Coach online or at one of their stores. What is on sales this week?